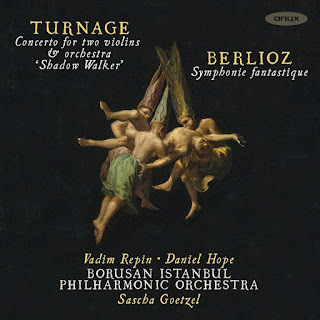 On this enterprising new disc from Sascha Goetzel and the Borusan Istanbul Philharmonic on Onyx, we hear the premiere recording of Mark-Anthony Turnage's 'Shadow Walker' Concerto for two violins and orchestra with soloists Daniel Hope and Vadim Repin, alongside Berlioz' Symphonie fantastique. Though the orchestra is based in Istanbul, the recording was in fact made in the Musikverein in Vienna. 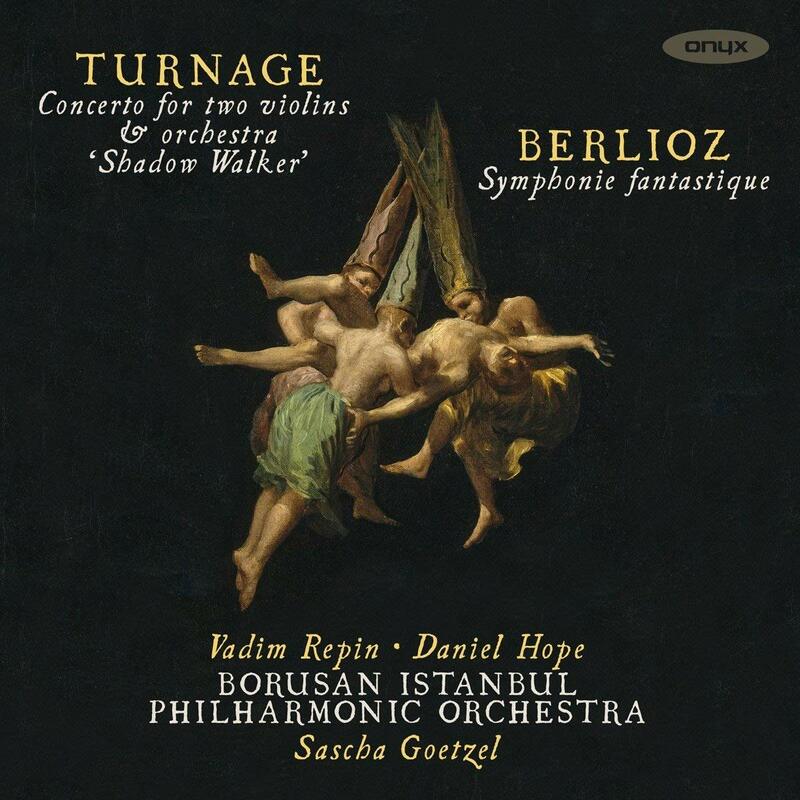 Mark-Anthony Turnage's Shadow Walker was premiered by Daniel Hope, Vadim Repin, the Borusan Istanbul Philharmonic and Sascha Goetzel in Istanbul on 19 October 2017, and this recording was made four days later. Turnage takes his inspiration from the work of artist Mark Wallinger, with whom Turnage worked on his ballets Trespass and Undance. 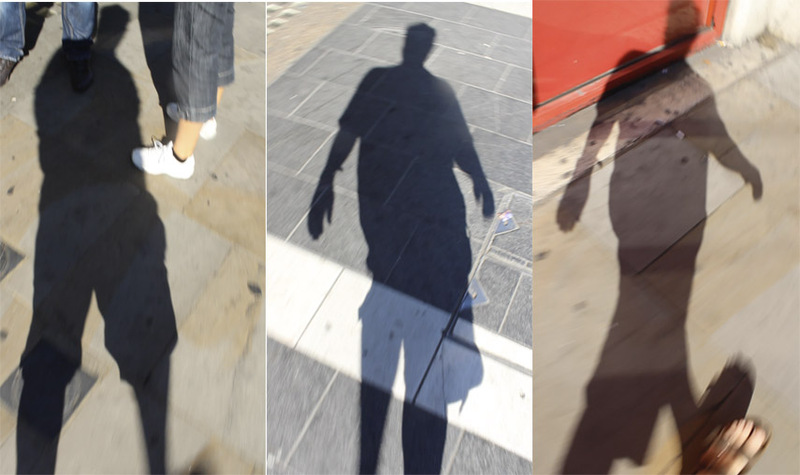 The title Shadow Walker comes from one of Wallinger's videos where he films his shadow as he walks along Shaftesbury Avenue. Turnage has used his balanced pairing of soloists to continue this exploration of shadowing. Mark Wallinger – Shadow Walker (film still), 2011. It is in four movements, fast-slow-fast-slow. The opening movement is very much a dramatic dialogue between the violins and the orchestra, mixing stately rhythmic elements with more dynamic ones with some very mobile textures. The second movement is lyrical and thoughtful, punctuated by big chords in the orchestra, and as it develops in intensity rhythmic dance-elements appear in the orchestra. One feature of the concerto is the way that Turnage uses the orchestra. Though richly orchestrated, with the inclusion of Turkish percussion instruments, and with noisy moments, it is very much a case of using the resources sparingly and the twin soloists are always surrounded by a very spare, transparent sound. The third movement comes over as a slow rhythmic dance, though it gets rather more skittish and the often spare textures gain in complexity. The final movement is lyrically contemplative, with a lovely interweaving of lines, and the whole ends in a thoughtful and sustained manner. In complete contrast, but somehow providing a satisfying complementary balance, comes Berlioz' Symphonie Fantastique. For the opening movement, Reveries - Passions, the orchestra plays with an elegant, fine-grained sound with some rich orchestral timbres. Goetzel and his musicians give the music a nice flow, with a sense of impulsive drama later in the movement and real brilliance to the orchestral colour at the end. The opening of Un bal is highly atmospheric, and we then have a delightful waltz, again highlighting orchestral colour. As dancing progresses, things get more intoxicating and Goetzel really whips up excitement at the end. Scene aux champs has a spacious feel, with a lovely long line to the music, but then moments of real drama, yet throughout the orchestra exhibits fine control. For all the grotesquerie of the Marche au supplice, Goetzel and the orchestra really bring out the details in the orchestration with vivid colours and crisp rhythms. Throughout the piece, I felt that Goetzel knew when to push the drama onwards, and when not to. The dream of the witches sabbath was again atmospheric with vivid colours, yet a tight rein held on rhythm and drama. This is an impressive disc, a challenging pairing of works that the orchestra rises to brilliantly. Goetzel clearly brings out the best in his orchestra, and you feel that is is really coming of age.